Liberation is not some specific location and air-conditioned paradise. It is a state of supreme peace. Where do you get the supreme peace? It is to be obtained in the realm of a pure heart. It is steady, sacred and utterly selfless. To enjoy supreme peace, you should achieve a supreme state. When Unity, Purity and Divinity are unified it takes you to the supreme state. Jesus said that the bread taken in the “last supper” was his flesh, and the wine, his blood. He meant that all beings alive with flesh and blood are to be treated as he himself and that no distinction should be made of friend or foe, we or they. Every body is his body, sustained by the bread; every drop of blood flowing in the veins of every living being is his, animated by the activity that the wine imparted to it. That is to say, every man is Divine and has to be revered as such. When Jesus reached the stage of unity with God, he had no suffering at all. He was blissful and was prepared for anything. Even at the time of crucifixion, Jesus was smiling, because he realised that he was not the body. Body is bound to perish, but the in-dweller has no birth and death. Truly speaking, the in-dweller is God Himself. Jesus understood that his body was merely a vesture, and that God was the in-dweller. I and the Father are one. I am in My Father and you are in Me and I am in you. 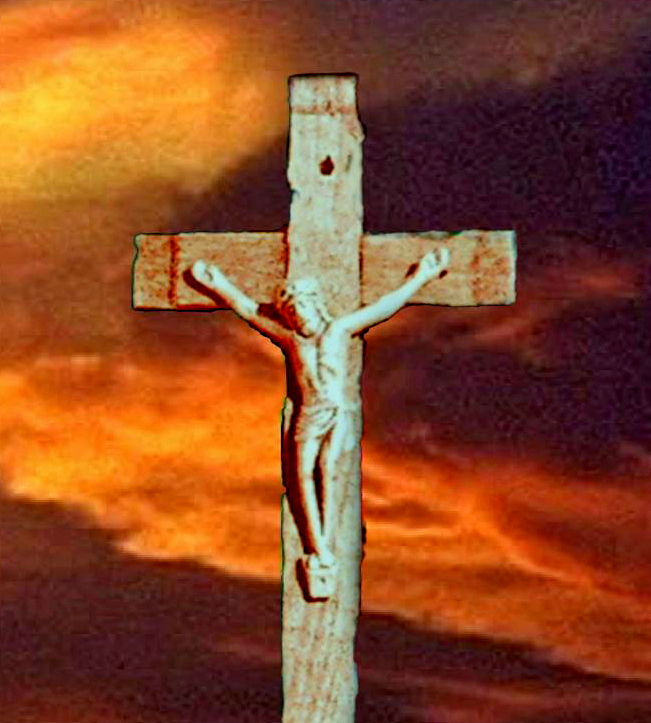 The Christian cross is a symbol for the elimination of the ego. Let us pay attention to the sacrifice that Jesus made while free, out of his own volition: he sacrificed his happiness, prosperity, comfort, safety and position; he braved the enmity of the powerful; he renounced the “ego,” which is the toughest thing to get rid of. You too have undertaken this birth for this very mission: the mission of crucifying the ego on the cross of compassion . Crucify it and be free. Bring to mind the words Jesus uttered, the advice he offered, the warnings he gave, and decide to direct your daily lives along the path he laid down. Have sacred vision. Speak good words. Hear only what is good. Entertain noble thoughts. There is no greater spiritual practice than this. This was the teaching of Jesus. Sri Rama Navami is the festival that celebrates the birth of Lord Sri Rama, the Avatar of the Treta age. It falls in the ‘Chaitra’ month in the Shukla Paksha Navami (ninth day of the bright fortnight) of the Hindu lunar calendar. Lord Rama is revered as being the very embodiment of Dharma (righteousness) and one whose life serves as an ideal for all mankind. The Ramayana, an epic poem composed by sage Valmiki on the life of Lord Rama, is one of the sacred scriptures of the Hindu religion. “The Ramayana, the story of Lord Rama, teaches two lessons: the value of detachment and the need to become aware of the Divine in every being. Faith in God and detachment from objective pursuits are the keys for human liberation. Give up attachment to sense objects, and you gain Rama. Sita gave up the luxuries of Ayodhya so she could be with Rama during His exile. When she cast longing eyes on the golden deer and craved for it, she lost Rama’s proximity. Renunciation leads to joy; attachment brings about grief. Rama is the in-dweller in every body. He is the Source of Bliss (Atma-Rama) in every individual. His blessing, surging from that inner spring, confers peace and bliss. He is the very embodiment of Dharma, of all the codes of morality that hold mankind together in love and unity”. 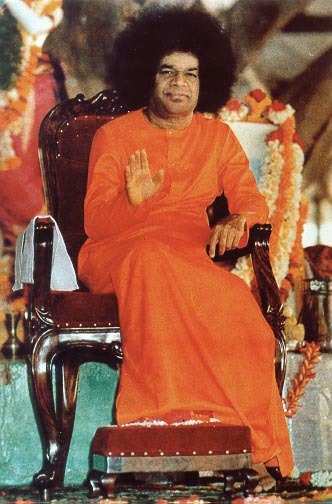 On the occasion of Ramanavami a discourse delivered by Bhagawan on 11 April 2003 at Brindavan. 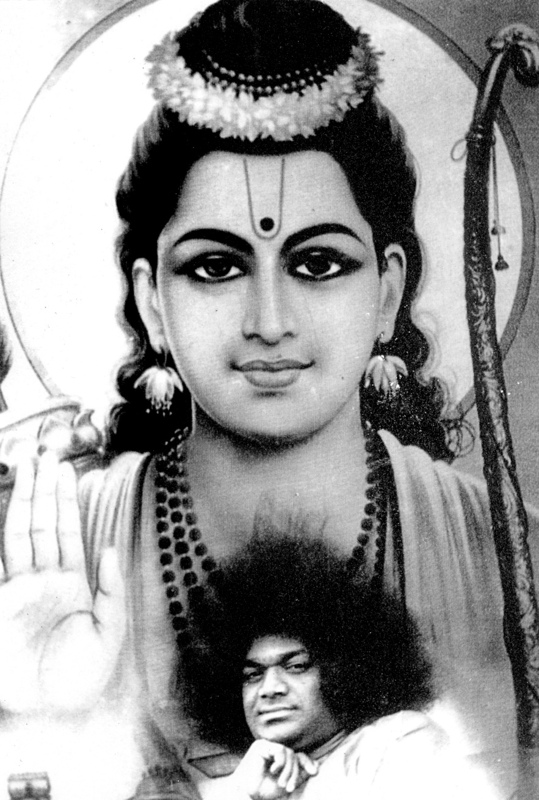 In this profound clip, Bhagawan explains what is the essence of Ramayana and why we must not look up to Lord Rama merely as an Avatar and worship Him. It is important to understand that each individual is Lord Rama and live life drawing inspiration from the idealism portrayed in the Ramayana. Rama is the indweller in every body. He is the Atma-Rama, the Rama (Source of Bliss) in every individual. His blessings upsurging from that inner spring can confer peace and Bliss. He is the very embodiment of Dharma, of all the codes of morality that hold mankind together in Love and Unity. The Ramayana, the Rama story, teaches two lessons: the value of detachment and the need to become aware of the Divine in every being. Faith In God and detachment from objective pursuits are the keys for human liberation. Give up sense objects; you gain Rama. Sita gave up the luxuries of Ayodhya and so, she could be with Rama, in the period of ‘exile’. When she cast longing eyes on the golden deer and craved for it, she lost the presence of Rama. Renunciation leads to joy; attachment brings about grief. Be in the world, but, not of it. 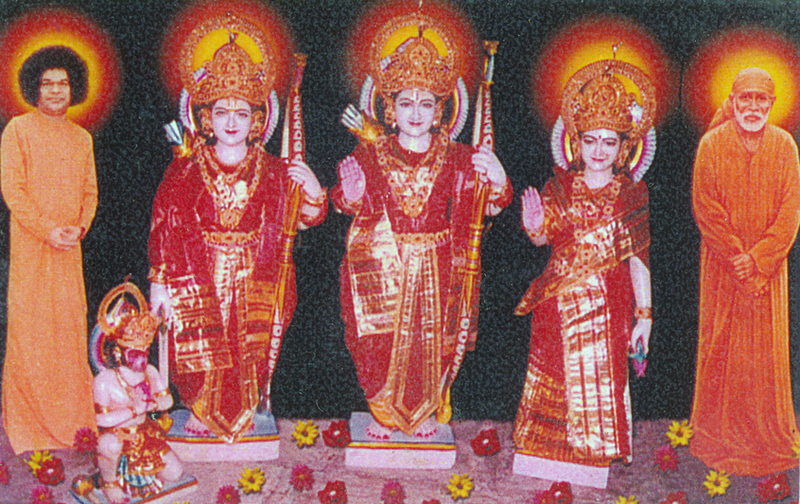 The brothers, comrades, companions and collaborators of Rama are each of them examples of persons saturated with Dharma. Dasaratha is the representative of the merely physical, with the ten senses. The three Gunas – Sathwa, Rajas and Thamas – are the three Queens. The four goals of life – the Purusharthas – are the four sons. Lakshmana is the Intellect; Sugriva is Viveka or discrimination. Vali is despair. 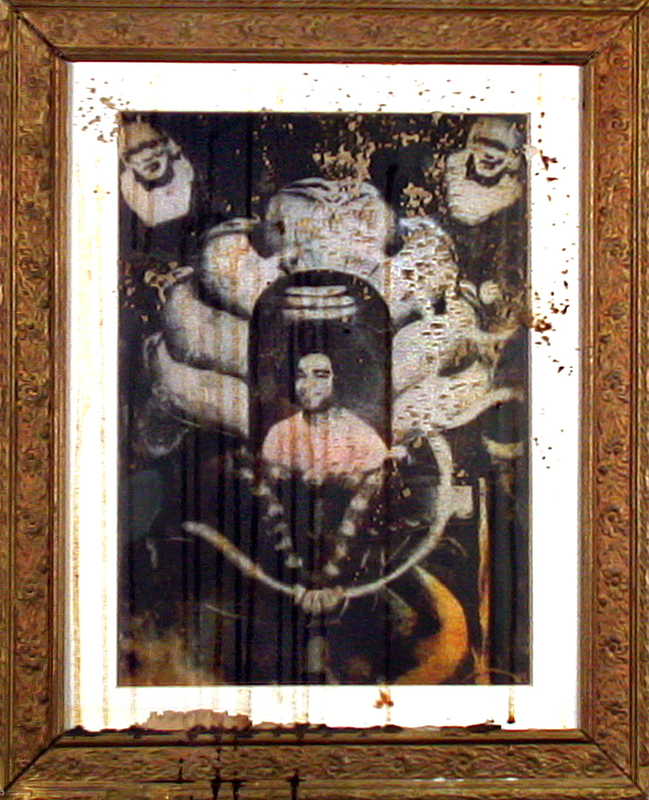 Hanuman is the embodiment of courage. The bridge is built over the ocean of delusion. The three Rakshasa chiefs are personifications of the Rajasic (Ravana), Thamasic (Kumbhakarna) and the Sathwic qualities (Vibhishana). Sita is Brahmajnana or the awareness of the Universal Absolute, which the individual must acquire and regain undergoing travails in the crucible of life. Make your heart pure and strong, contemplating the grandeur of the Ramayana. Be established In the faith that Rama is the reality of your existence. 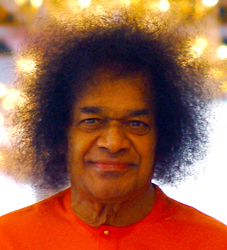 I am Sathya Sai Baba of Puttaparthi. O! 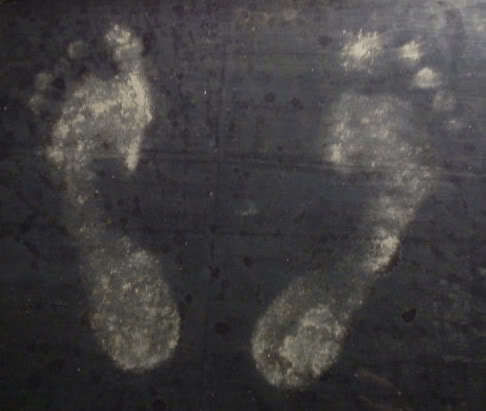 mind without worshipping the Lotus Feet of Guru Sai Nath, it is not possible to cross the ocean of life and death. Victory to Noble Teacher, Lord Sai Natha. Chant “Om Namah Shivaya”. Chant the name of Lord Shiva, Who resides in Arunachala. 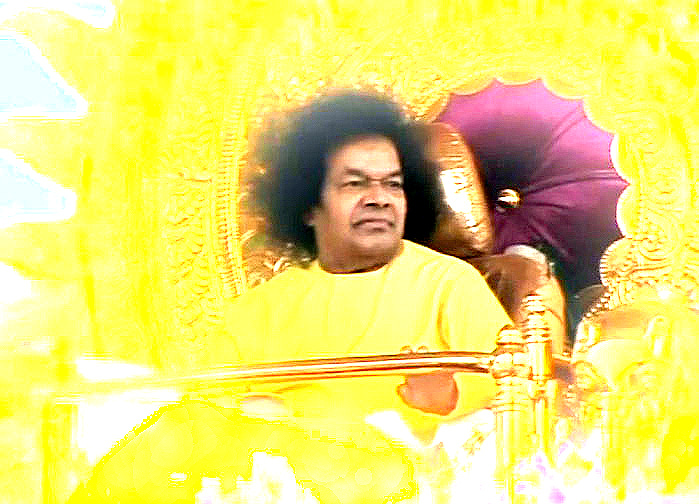 Chant the name of Lord Baba, Whose form is OM. The festival of Maha Shivarathri is one of the most important festivals in India. It falls on the 14th day of the (Krishna Paksha) dark fortnight of the Magha month of the Hindu calendar. The very word ‘Shivarathri’ means auspicious night. All over the country, people throng Shiva temples and spend the night in worship and contemplation of the Divine. According to Hindu belief, the moon is the presiding deity of the mind and the 16 phases of the moon represent the 16 aspects of the mind. On Shivarathri, which falls a day prior to the new moon, only a streak of the moon is visible. This is symbolic of the waning influence of the mind, when 15 aspects have already merged in the Self and only one aspect remains. Hence on this day, it is easier to control the mind and direct it towards God. Therefore, the night is spent in contemplation and adoration of God, so that the vagaries of the mind can be totally subdued and transcended to attain realization of the Atman. 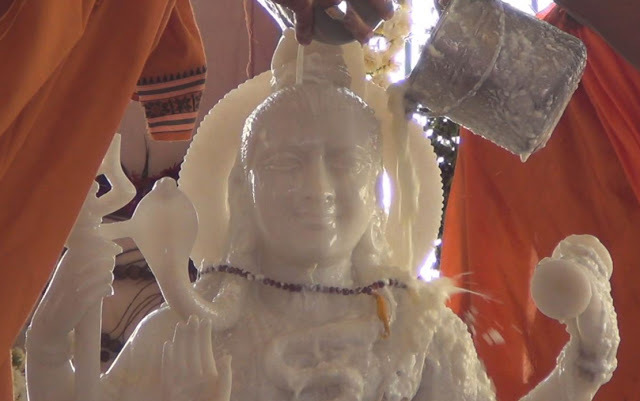 Lord Shiva Who is hailed as Abhisheka Priya is mightly pleased with sacred offerings. 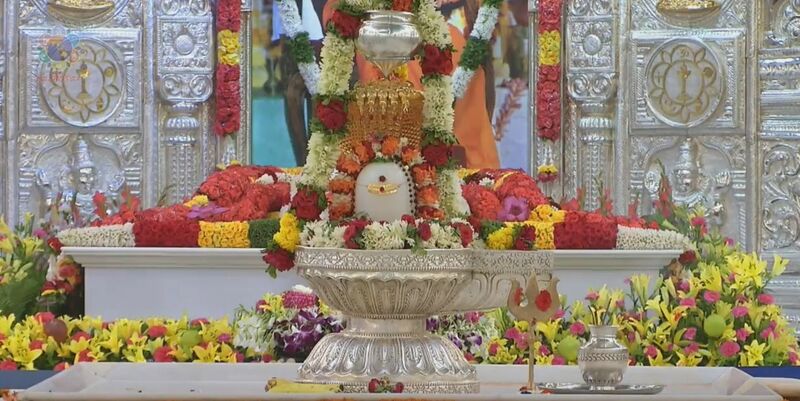 Last evening’s Maha Rudrabhishekam had 18 types special offerings to the Saieswara Lingam. The offerings included milk, curd, ghee, honey, sugar, fruits, tender coconut water, flower, yellow rice, sandalwood paste, vibhuti, bilwa leaves, sugar candy juice, rudraksha, darbha grass, gold, turmeric, kumkum (vermillion) etc. with each individual offerings bear spiritual religious significance. 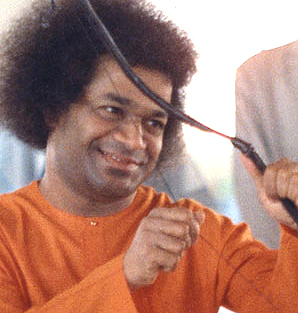 These 18 offerings are meant to appease the Indweller within, Who is verily Sai Shiva. 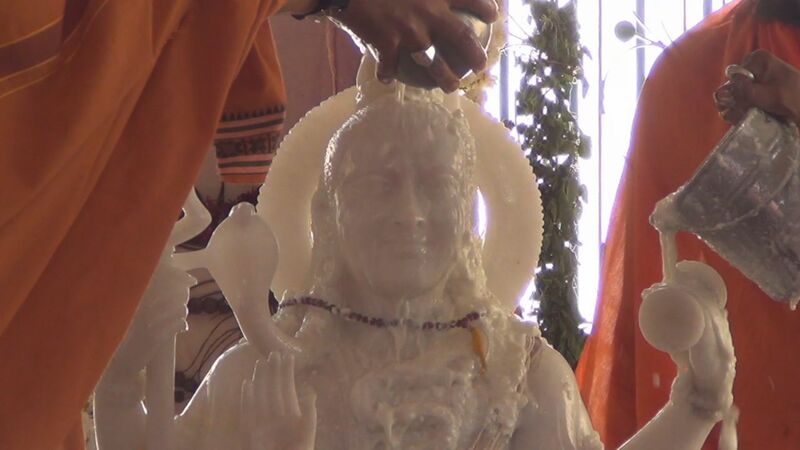 “The lesson of Shivarathri is that devotees should foster good and sacred thoughts. They should be filled with godly thoughts. They should seek to become one with the Divine by reflecting on their inherent divinity. 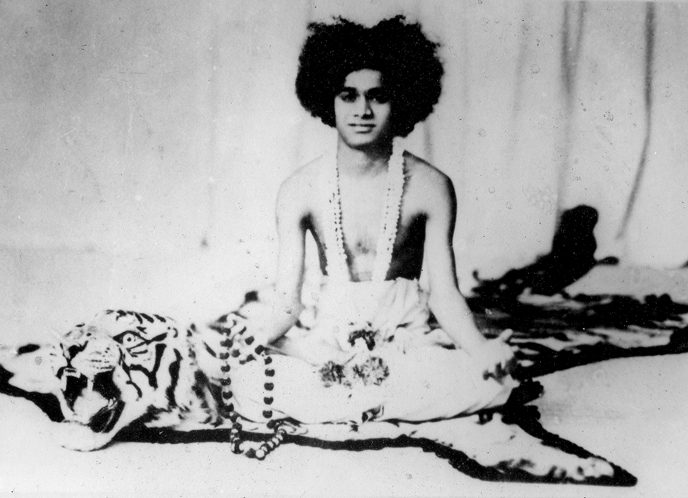 If you constantly chant the name of God, God realization will come in due course. Whatever other things they may possess, men suffer from lack of peace and bliss. These two can be obtained only from God. It is for these two that men should pray to God and not for anything else, because God alone can give them. When these are secured, all other things will come of their own accord by the grace of God. People should yearn for God. All other desires are worthless”. 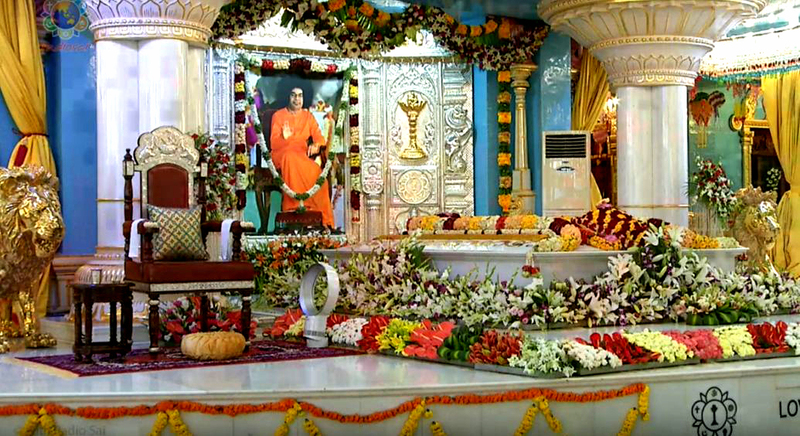 Five pujaris (priests) performed abhishekams to Lord Sai Shiva. Special offerings were made to the Lord Shiva. The offerings included milk, curd, ghee, honey, sugar, fruits, tender coconut water, flower, yellow rice, sandalwood paste, vibhuti, bilva leaves, sugar, rudraksha, turmeric, kumkum, with each individual offering bearing great spiritual significance. 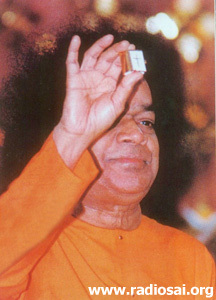 These offerings are meant to appease the Indweller within, Who is verily Sai Shiva. Lord Shiva Who is hailed as Abhisheka Priya is mightly pleased with such sacred offerings. 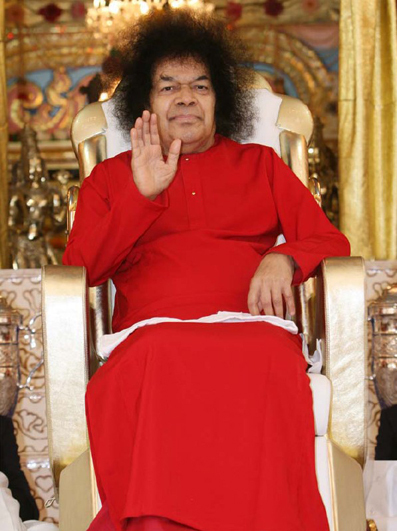 Visualize Sathya Sai at the heart of Shiva Linga and gradually trancending Name and Form. “Makara Sankranthi marks the movement of the Sun from the southern horizon to the northern horizon. This northward movement of the Sun has immense spiritual significance. The north is symbolised by Himaachala. Hima means snow. It is pure, untainted and soothingly cool. All these endow it with the quality of Prashanthi (perfect peace). Achala means that which is steady and unshakeable. Himaachala does not refer to the physical Himalayan mountains. It represents that which is cool, peaceful and steady. From this day the Sun is said to move towards such a state. The Sun symbolises the vision of man. The northward movement of the Sun is a call to human beings to turn their vision towards that which is cool, peaceful and unchanging, i.e. towards the divinity within.